Property 5: Dog-friendly condo in prime location - walk to dining & sights, near the beach! Property 6: Homey condo w/ shared pool & private parking in a central location - Dogs OK! Sunny condo w/ entertainment, balcony, & great location near the beach! Dogs OK! Property 7: Sunny condo w/ entertainment, balcony, & great location near the beach! Dogs OK! Property 12: "SOUTHERNMOST BELLE"~ Heated Pool, Gourmet Kitchen & Elegant Large Bedrooms! Studio condo w/ shared courtyard & pool - walk to everything - dogs welcome! 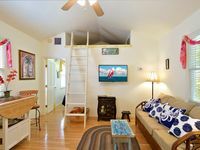 Property 14: Studio condo w/ shared courtyard & pool - walk to everything - dogs welcome! Property 15: "SEAPORT SANCTUARY" ~ Come and Enjoy this Romantic & Lovely Couples Hideaway! Property 18: "SWEET CAROLINE"~Condo with Simple Elegance Located In The Heart Of Old Town! 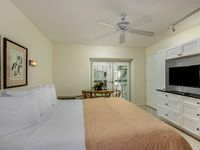 Property 21: "CONCH HEAVEN" ~ Stylish 2B/2Ba, Sleeps 6 in Old Town, Cocktail Pool & Grill! Property 23: Dog-friendly condo w/ shared pool, full kitchen & parking - central location! Property 24: Dog-friendly studio in historic building w/ shared pool - beach nearby! Studio overlooking historic Key West waterfront. Property 25: Studio overlooking historic Key West waterfront. Property 30: Comfortable, dog-friendly studio w/ shared pool, patio & nearby beach access! Property 31: Free standing private home in a 6 unit complex with pool in old town Key West. "TORTOISE SHELL II" ~ Comfortable, Modern Condo Two Blocks from Duval! Property 32: "TORTOISE SHELL II" ~ Comfortable, Modern Condo Two Blocks from Duval! Property 34: HISTORIC RESTORED 'EYEBROW' HOME. REDUCED PRICES !!! Property 37: Brand New! Ohana Paradise At The Historic Seaport , Old Town. Private Home. Unique and beautifully renewed apartment in the heart of downtown, Key West. Property 38: Unique and beautifully renewed apartment in the heart of downtown, Key West. "STARS" ~4 Bed, 3 Bath Condo w/Cottage, Pool Heat, Walking Distance to Duval! Property 42: "STARS" ~4 Bed, 3 Bath Condo w/Cottage, Pool Heat, Walking Distance to Duval! Property 44: "BLUE ROOSTER" ~ Spectacular 4 Bed/4 Bath with Pool and Solarium in Old Town! Property 49: "ISLAND TIME" ~ Fully Renovated Conch Home in a Great Old Town Location! Not only was it close to the popular Duvall St, but we enjoyed the waterways &amp; boat activity just as much. The observation deck is a must at sunset &amp; we enjoyed sitting on the dock in the evenings. The bed was confortable &amp; we slept well until around 5am when the rooster started it&rsquo;s morning crow. I was pleasantly surprised in the daily fresh towels &amp; bed made up. We would definitely stay here again, thanks Ed for sharing your condo with us!